Thanks everyone for joining our league for this season. Alex won last year and we sent him a prize. We'll do the same this year for the winner. The winner is: wojciech_89 with 27 points. In second we have antyk/Ferrari92/drew09 with 26 points. In third its, DJDisco with 25 points. Thank You for playing and don't forget to place your tips for the Malaysian Grand Prix. No accident? What about the collision between van der Garde and Chilton in which Chilton lost his front wing? Yup, that collision has been mentioned in many reports, although it wasn't seen on the live feed. It should count as an accident. 10 points (possibly 12 then), oh well... nothing to write home about. Woo! 3rd Place! 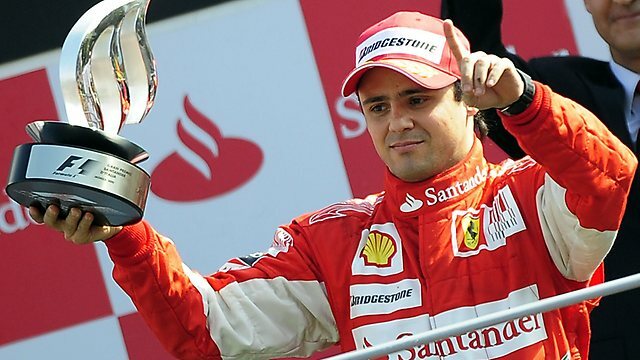 I think that would be a third podium in the Predictions league after 2012 British and 2010 Singapore! Edi96 wrote: No accident? What about the collision between van der Garde and Chilton in which Chilton lost his front wing? iceman1 wrote: Thanks everyone for joining our league for this season. Alex won last year and we sent him a prize. We'll do the same this year for the winner. Last edited by Joey Zyla on 21 Mar 2013, 04:50, edited 1 time in total. 16 points for me! Yay! Also, it seems that the leaderboard is slightly broken at the moment: Ether is already credited with an extra 19 points for Malaysia. I'll take those 24 points! Good start to the season! e10rice wrote: I'll take those 24 points! Good start to the season! François wrote: Also, it seems that the leaderboard is slightly broken at the moment: Ether is already credited with an extra 19 points for Malaysia.